I'm am a consummate screenshotter. As I scroll Instagram, I find myself down rabbit holes, for which I have to leave a trail of screenshot breadcrumbs along the way. Eventually, between selfies, foods, dogs, and chickens, my photo library gets muddled. Not being a fan of Pinterest's grid system, there aren't many options for me to tell the masses of what I'm lusting over this week. Hopefully, this weekly (maybe) newsletter will do just that, while also helping me keep track of what I'm reading, wanting, stalking, and wearing. You can sign up for my newsletter, The Yolk, here to receive these Edits automatically. I've worn glasses since I was five. Having already gone through my giant 90's phase, my $13 frames phase, my I-don't-care-I'll-take-whatever phase, and (yes, of course) my Warby Parker phase, I was looking for something I would actually like to wear. I know it sounds silly, but having worn glasses for four-fifths of my life, glasses are just a part of who I am, but not necessarily something I consider as an accessory. But after seeing Shuron's Freeway model, I started to think of the possibilities of not wearing contacts for 14 hours a day, 7 days a week. I bet my optometrist (and my corneas) will be relieved. I ordered my pair this week and can't wait the 10-14 business days for their delivery. I didn't buy this, but do I love it. I've been following Howlin' on Instagram for months (years?) now and always find a new thing to daydream about. This graphic turtleneck looks cozy, effortless, and a little fun. Warmer days have finally hit Pennsylvania, but that doesn't mean I'm not dreaming of this winter's turtleneck collection. The patron saint of third shift, truck drivers, powerhouses, strong women, small towns, and the maudlin reality of the almost-real, almost-ready, almost-loved. 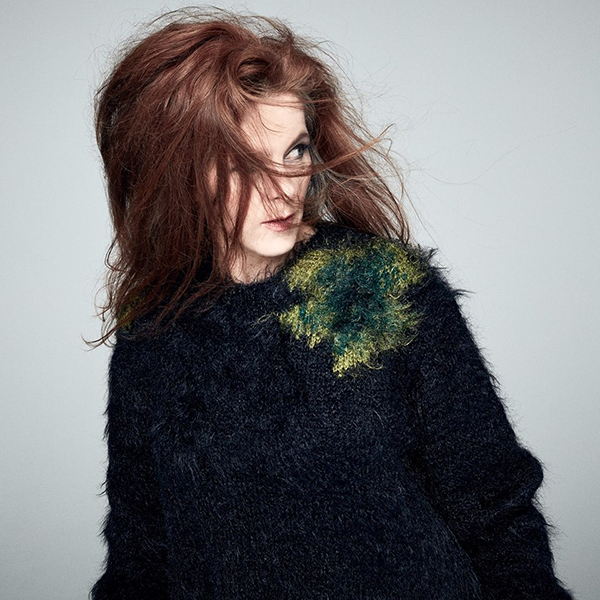 Neko Case has, with no hyperbole, been my absolute favorite singer for a decade. The emotion she brings out of me is immediate. With an upcoming new album, I'm excited to see her concert later this summer. In the meantime, I will be belting "Bad Luck" while I drive to the YMCA tomorrow. Maybe my 2018 resolution should have been "Eat more s'mores." I've been dipping a spoon into a jar of marshmallow fluff this week, and finally decided to manifest it into a little more...elegant of a dessert. With an adorable chicken cookie cutter Nolan got me in Austin, I came up with these s'mores animal crackers. The recipe's right here for you. Wow. Does this book take me back. I checked this book out from the library maybe 40 times between the ages of 8 and 12. These were pre-Amazon days for us, so we went as far as to ask the school library if we could just buy it. They said no. So I was especially happy that, after a glass of wine and a trip down memory lane, I found my local library carried D'Aulaires' Book of Greek Myths. The pages, the drawings, the myths themselves...I wonder how much of this book shaped me over the years. And yet, I was able to forget about it so easily. I'm sure there's a moral in there somewhere. In the meantime, I'll be spending my weekend reading about Io, Europa, Orpheus, and many others. If your library doesn't carry it, buy it tonight. You won't be disappointed. With my rekindled love of ancient Greek art, I am beyond in love with these Neptune rings. The Salacia collection, designed by Luke Edward Hall for Lucy Folk, focuses on the Roman goddess of the sea and Neptune's consort. This signet ring, featuring the sea deity himself, is available in Yellow, Rose, and White gold. Its design is both illustrious and ascetic, making it a piece I can see worn for a million reasons--or for no reason at all. With a $1,000 pricetag, this is definitely on the "When I get that promotion" list...or perhaps the "Would it be crazy to put this on a credit card" list if I have a second glass of wine tonight. I saw this bath mat and had to have it. I have big plans to put her in front of the back doors instead of the bathroom, so she is on full display in the dining room. At $50, I think it's a steal; but, unfortunately, I have to wait until June 20th for it to ship. No fair.